Since forming in 1981, Meyer Corporation has grown rapidly and is now the largest cookware company in the U.S., offering consumers a stable of widely recognized cookware brands including Anolon, Circulon, Farberware, Rachael Ray, Paula Deen and SilverStone cookware. The company's U.S. Distribution Center is located just outside the San Francisco Bay Area in Fairfield, California. 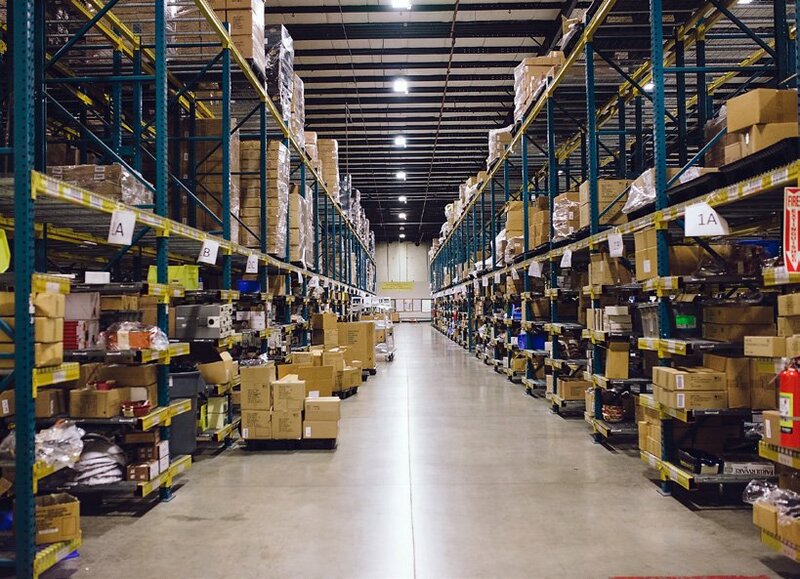 One function of Meyer's 530,000 square foot distribution center (DC) is servicing e-commerce fulfillment for brick and mortar stores such as WalMart, Target and Kohl's as well as Meyer's own e-commerce store, PotsAndPans.com. 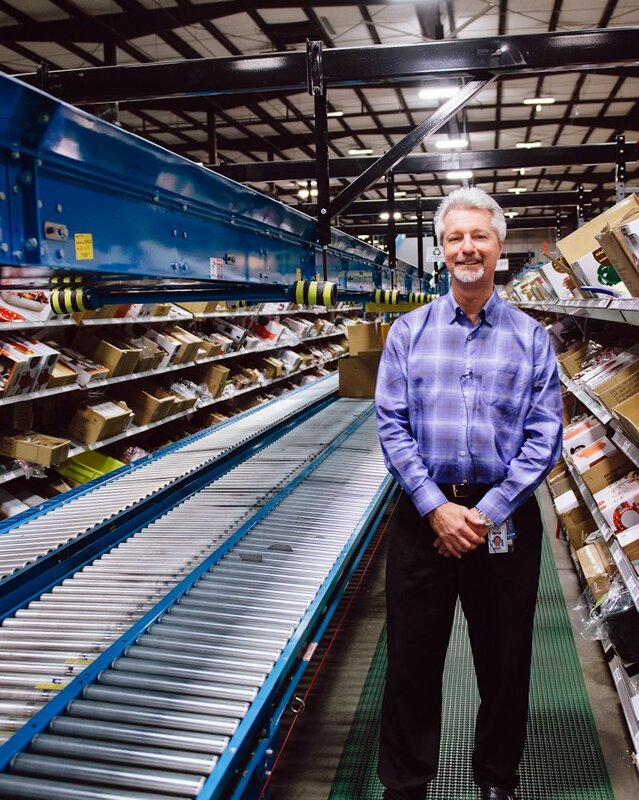 Mark Warcholski Director of Distribution & Logistics With online shopping gaining more and more popularity, consumers have shifted to making online purchases with next-day door stoop delivery a common expectation. In 2013, Meyer began to experience capacity issues in servicing their customers and recognized the DC needed to change the way products were handled and shipped out. "Whereas before, a full case might be picked and shipped to a retail store, now, quite often, a case will be broken down into individual units. This increases costs from the box used to pack the item, dunnage materials plus handling labor," said Senior Director of Distribution & Logistics, Mark Warcholski. Warcholski knew he needed to find a creative and efficient way to keep costs in check. 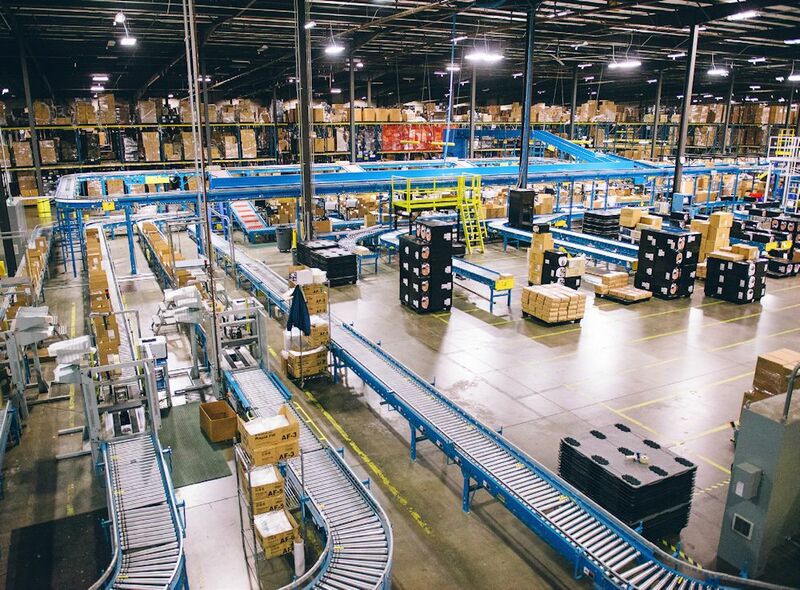 Adding to the obvious increase in labor and materials costs in taking on more and more direct to consumer fulfillment, another key consideration was the order processing time Meyer had with its retail customers. The goal is for same-day turnaround on customer orders placed before noon Pacific. During the 2013 peak period, Meyer's DC wasn't able to fulfill orders fast enough and they found themselves falling behind on meeting some retailer service commitments. Warcholski and team got to work right away creating the needed changes to be better prepared for the 2014 peak season. Not only were Meyer and Warcholski interested in honoring retail customer agreements, but also operating in a profitable way. "As a business, we want to be healthy and profitable in what we're doing, so that came into play. We wanted to be able to automate certain things in the process to exceed our service level expectations," notes Warcholski. Pick Line Warcholski and his team determined that it boiled down to resolving replenishment issues on the pick line. "We always have to keep the process fluid, keep it moving. It's really easy to pick the product, the hard part is restocking. That was one of the challenges of the project; we knew we had to shorten that window and turn replenishment around faster." Warcholski decided to go with the team at FloStor for a variety of reasons. "We had recently done another project with FloStor about three-and-a-half years prior where we were able to take a pre-existing blueprint and expand off of that, utilizing what was already there so we could still get a return on that original investment. We knew we wanted to try and do that when updating this e-commerce system. What I like about working with FloStor is that it really shows that they want to help you. They're flexible and they understand what we're trying to accomplish. Often times an integrator will say, "let's just start over". That might be easier for everyone, but it may not be the most cost-effective way to go for us. 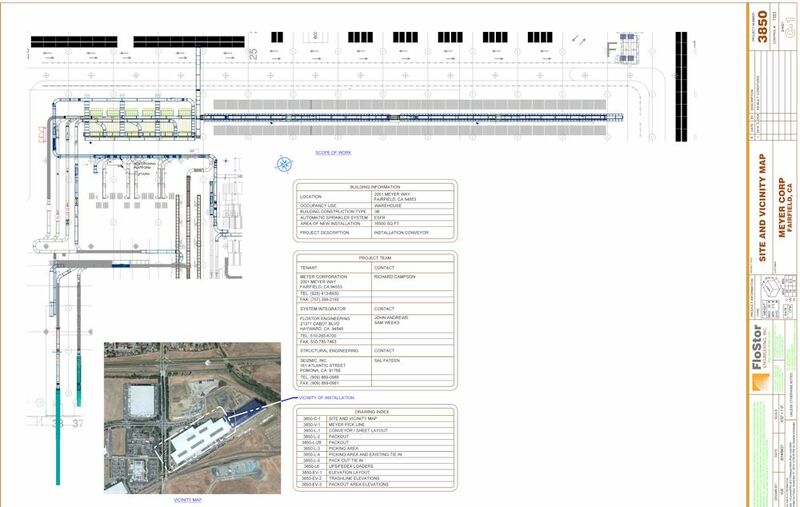 With FloStor, we were able to get a workable project within our capital projects constraints. They're creative and they come up with solutions. They have a good team, from sales to engineers and post-installation support. I also like that they're local, we know most of them by name and that kind of relationship can get lost when you're dealing with a larger company." RF Wrist Device Efficiencies were gained in multiple areas, increasing product movement through the system 25% to 30% faster than before. 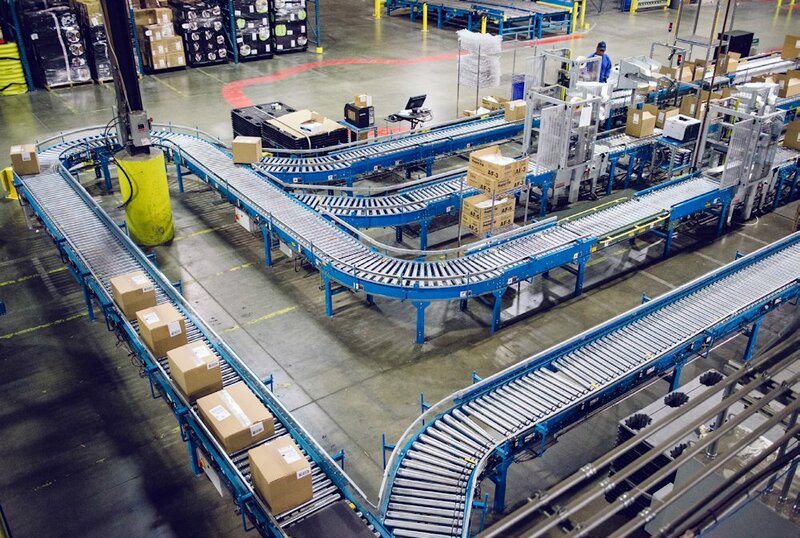 By creatively implementing automation routing along the pick-line, revamping the replenishment process and adding a pack-out station for single line orders, Meyer is now able to meet their e-commerce customer service level commitments, even during the busier peak season. What's more, Meyer and FloStor worked together implementing better checks throughout the entire process, which has enabled Meyer to accomplish greater accuracy in goods shipped. 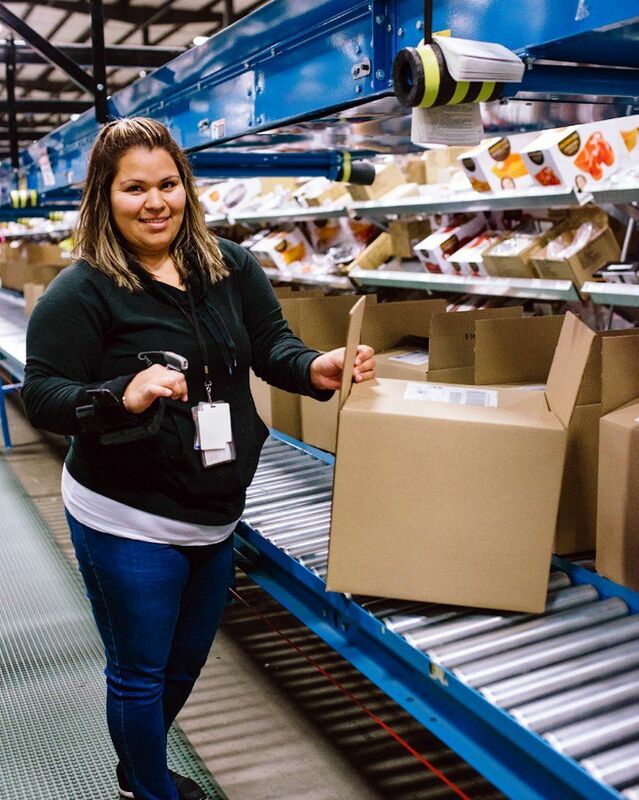 Along with the need to meet shorter fulfillment windows, Meyer is committed to implementing processes which support sustainability where ever possible. As part of the new e-commerce pick-line, an overhead detrash line was installed. This not only increased labor efficiencies, it assisted in moving trash out of the building faster and increased efficiencies in replenishment. Pick Line "When the picker is done, they just pick the box up and toss it up over the top onto the detrash line. Before we installed this new system, the picker would stock the product, break the box down by hand and then put the cardboard into another bin. Then that bin had to be taken over and recycled. So a lot of steps have been cut out, which also saves time. Additionally, we're making sure that we're using the least amount of packaging to support the goods. So there are multiple benefits, from cost savings, speedier service and increased sustainability." At the start of the e-commerce pick-line, the warehouse management system (WMS) downloads a batch of orders and prints out barcode labels. Each order has a unique identifier as part of the label. The pick-line employee will then place the label on the proper sized box as indicated by this unique labeling system and then introduce the box onto the line. The box then conveys down the line through a series of barcode readers. Label Apply There are two bi-directional right angle transfers along the main conveyor pick-line supporting eight zones. When a box gets to the transfer, a barcode reader discerns which of four zones to divert the box into, or if it should keep moving down the line. Once in the proper zone, an employee scans the label with a wrist worn radio frequency device (RF device) which tells them what item to put in the box. 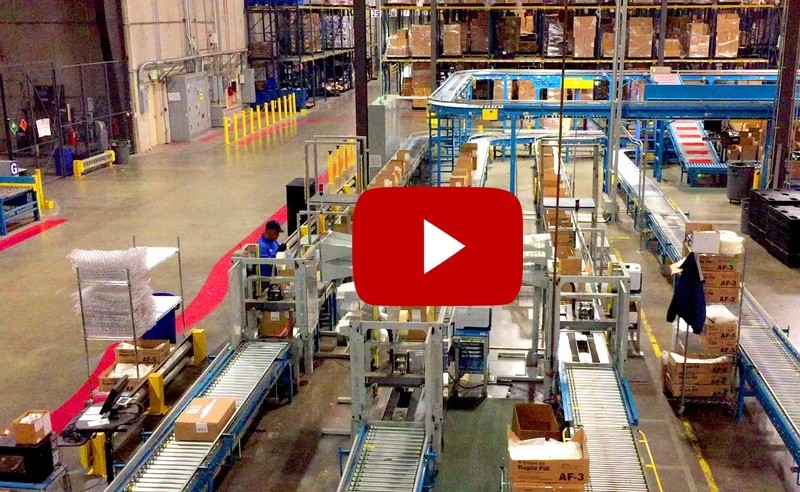 The employee places the item in the box and then reintroduces the box back onto the line. If there are multiple items to pick, the box will move down the line and the barcode reader will direct the box to the next zone where the next item resides. Once the order is complete, the box is routed to one of three case seal lines. As part of the implementation process, Meyer worked with FloStor to ergonomically enhance the pick-line to further increase productivity and save employees from undue bending or reaching. 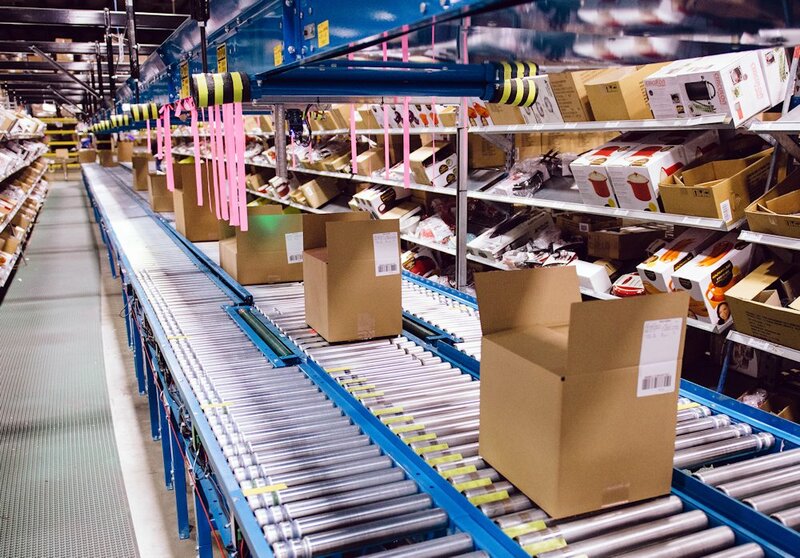 Meyer and FloStor chose to implement a pick-and-pack module for single line orders which moved those orders off the main e-commerce pick-line, producing further efficiencies in the system. By implementing this added module, Meyer has achieved a 20% reduction in replenishment during the normal season and a 40% reduction during peak. The WMS prints out a list of master labels which are to be individually applied to the master carton. The warehouse pick-line employee will then place the label on the proper master carton and then introduce the carton onto the line. The carton then conveys down the line past a barcode reader. The barcode reader scans the master label which signals the system to divert the carton to the single-line pack-out station. The carton is then sent to one of four accumulation lines. 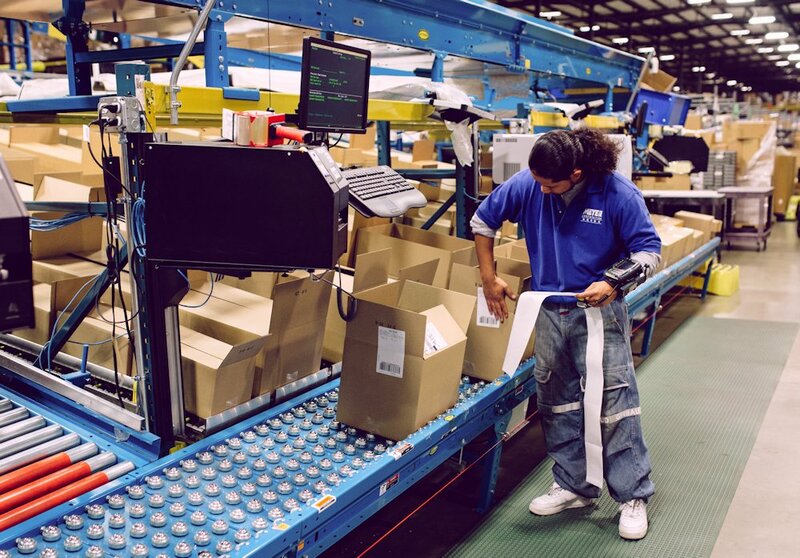 At the end of each accumulation line, a pick-and-pack employee scans the master label with their RF device and checks a computer screen which indicates the size and number of shipping boxes needed for the order. The computer also prints out shipping labels. Warcholski explains, "The employee is working efficiently in a smaller goods-to-person area. 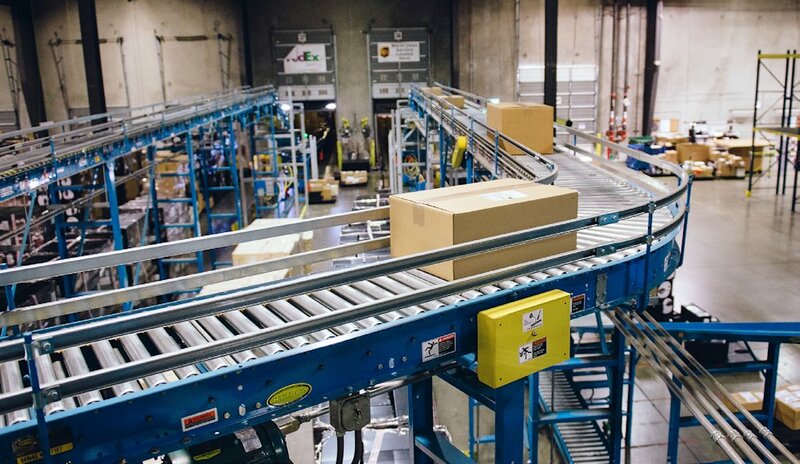 The boxes come to them via a conveyor system. The master case, days ago, would have been picked to a pallet and replenished to the back of the main line manually. All those extra steps have been cut out." The employee then packs the item and places the shipping label on the box and then places the box back on the conveyor where it is routed to the shipping area via the barcode reader for parcel truck loading. Warcholski points out a new area created in the DC which further increased efficiencies on the pick-line. "There are families of products that we have in cookware such as utensils and different things that we realized took up a lot of space on the pick-line, yet they weren't being picked as often. We decided to place those items in a different pick area; we ended up using the infamous 80-20 rule, which is, 80-percent of sales are driven by 20-percent of the product. So we reorganize and relocated the slow movers to what we call our slow-pick module to make sure that they're funneled through in a more effective way." Once an order leaves the main line pick-module it goes through the Rapid Fill system where it is married with its packing slip and is sealed for delivery. Warcholski states, "This is part of sustainability. We use recycled plastic in our packing area. So often, sustainability is about reuse, repurpose, doing things to minimize waste, plus recycle. This stuff can be recyclable into your blue can. A consumer at home or work can recycle the packing materials as well. As a company, we're committed to making these sorts of right decisions moving forward." Once a parcel arrives in the Rapid Fill area, the scanner reads the bar code on the box, a packing list for the order is printed out in concert with the item arriving. The employee drops the packing list into the box, seals the box, injects the void fill bladder with air and then conveys the box to the shipping area, all via bar code readers. Warcholski notes, "Everything about distribution is trying to eliminate the touching of product. Every touch requires more cost. 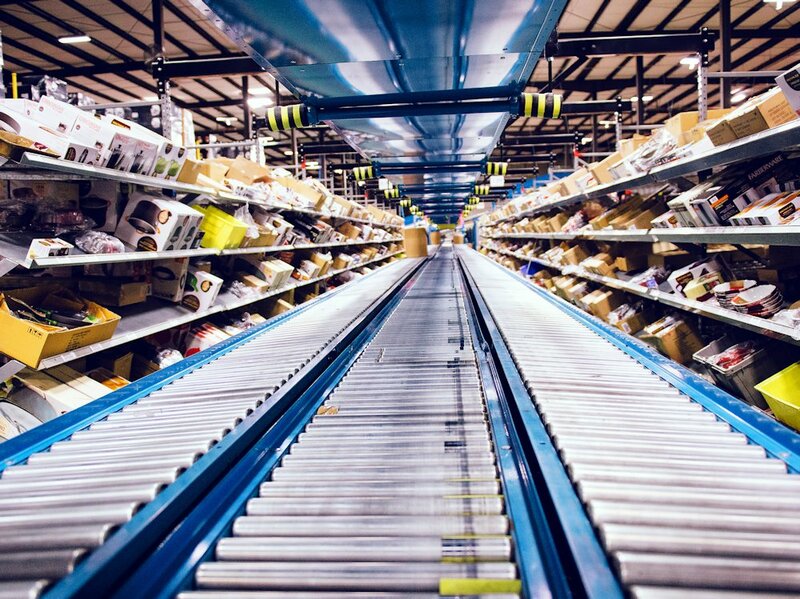 To be profitable, we need to figure out how to most effectively move product around the warehouse. We were touching items too often and established that was one of the criteria we needed to eliminate or minimize within the new system. That's what the pack-out module does. It allows us to pick the full case and put it on a conveyor belt, instead of putting it on a pallet and then having to manually restock the item into the pick slot." A place where further accuracy has been gained via the enhanced system is in the shipping area. By adding barcode readers at the end of all shipping lanes, further checking the integrity of orders going out the door via the correct shipping mode, there is an increased accuracy of orders leaving the DC. Bar Code Reader The barcode reader scans the label and determines that all previous quality checks have been passed. If the carton is valid, it is sorted to the proper shipping lane. If not valid, it is sorted to a quarantine lane for investigation. This is the final accuracy check on the shipping lanes prior to the carton leaving the dock. If there are any duplicates, or if the order has not been completed, the system will detect it via its barcode before the parcel is loaded into a truck. If there is a discrepancy, the parcel will fail this final check. A failure stops the system, and an employee will remove the parcel and discern the issue. During the project, FloStor's controls team was able to bring online the new areas of the enhanced system without interrupting any of Meyer's existing processes. FloStor integrated multiple control systems from remote control panels, barcode readers, sortation systems, as well as Meyer's existing WMS. 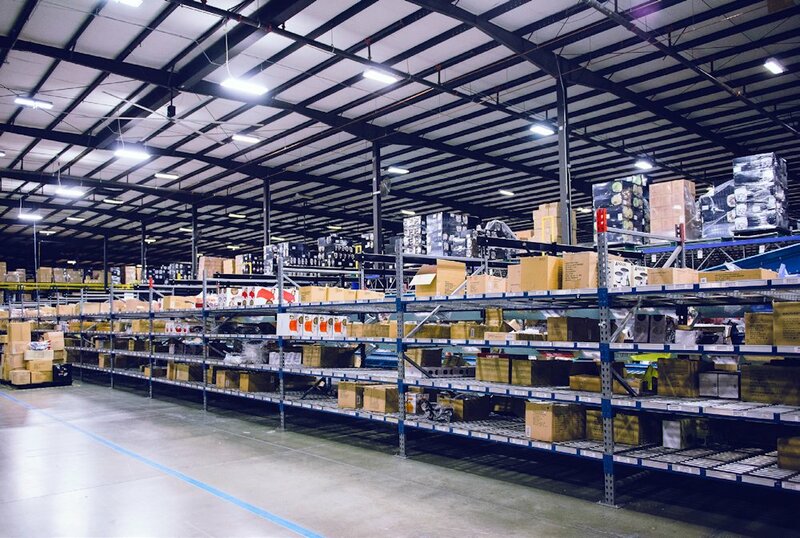 Not only was FloStor able to retask existing equipment as part of Meyer's commitment to sustainability, they were able to implement the e-commerce pick-line enhancement without disrupting Meyer's live production and fulfillment of real-time orders. Overview Through implementing the enhanced e-commerce pick-line module, Meyer was able to minimize shift work. Whereas prior to installing the new system, they were picking on three shifts, during the 2014 peak holiday season they picked on two shifts. "So this is a huge gain," says Warcholski. "Shift work got reduced, we even reduced some Saturdays and Sundays in the 2014 peak season, whereas the year prior, we were working 24/7 from Thanksgiving all the way past Christmas to the end of the year. The new system was more efficient, allowing us to process more through it in a shorter amount of time." This left space to focus on replenishment during the third shift which allowed the operation to be fully prepared to start processing each morning. Incurring zero down time during the project install process was another aspect Warcholski was appreciative of in working with FloStor's team. Warcholski says, "That's the value of having a flexible partner who understands that business must go on and, at times, plans need to be adjusted and reworked if, for instance, there was a delay in equipment arriving or something like that. With FloStor, we were able to work through all those kinds of issues and keep running."